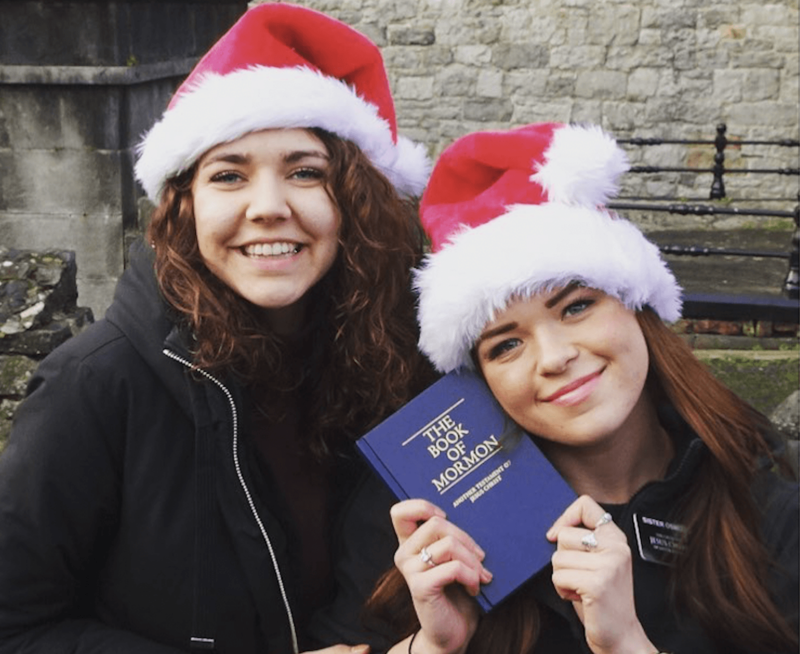 Sister Alexis Osmond was serving in the Dublin, Ireland mission at Christmas time and in her weekly email she sent home a photo of herself and her companion wearing Santa hats and together they were holding a Book of Mormon. At the end of the day, I climbed into bed, exhausted from my daily activities and I quickly fell asleep. I awoke several hours later (in the middle of the night) with Alexis’s photo clear in my mind and I had a distinct impression that I should share this photo on my social media. I was tired, and I decided that I would share the photo in the morning and I tried to go back to sleep. I tossed and turned and knew that it could not wait until morning. After making the quick post about how much I love the Book of Mormon and how it is one of the greatest gifts I have ever received, I was able to go back to sleep immediately. In the morning, I woke up and noticed that my post had received over 700 likes, many comments and 15 requests from people from all over the world requesting a copy of the Book of Mormon. I was amazed! The next day I purchased the books and over the next few days I wrote my personal testimony in each of them before I mailed them out. Weeks later, my daughter Alexis was transferred and several months later I was sitting home on a Sunday night wondering if anyone actually read the Book of Mormon that I sent them. I decided to explore the LDS.org website and I found the ‘refer a friend’ link. 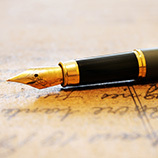 One by one I typed in the names and addresses of each of the names that I sent the Book of Mormon to and immediately, I was notified that they were assigned to missionaries. It was so exciting and the spirit was so strong and as I did this. I knew that this prompting was purposeful and someone was ready for the missionaries. The next day we were able to talk to my missionary daughter Alexis on the phone (as per the new rules) and much to my surprise, my daughter Alexis asked about the referral that I had sent to her the night before. I was confused, I was unsure what she was talking about. But, as she told me the sweet sister’s name, I knew that Jean Gleason was one of the special people that had responded to my social media post with the Santa Hat photo of my daughter and her companion holding the Book of Mormon. I had sent her a Book of Mormon months before and in the meantime Alexis had been transferred to within an hour of her home. Of all of the missionaries in Ireland, my daughter was electronically assigned to follow up with this sweet sister. Incredible! While we were on the phone talking with my daughter Alexis, she asked if we would like to be on the phone and experience her call to Jean Gleason for the first time. With tears streaming down my face, I watched my daughter introduced herself and then explain that she was asked to follow up on a Book of Mormon that was sent to her by her own Mom because of a post that was made on social media. Jean responded to Alexis’s photo, and Alexis was now going to be the one teaching her the gospel. Our entire family witnessed Alexis inviting Jean to church that very next Sunday and Jean happily accepted the invitation. We are receiving weekly updates from Alexis on Jean Gleason’s progress as well as the other missionaries who are working with their investigators that are also reading the Book of Mormon. I testify that Heavenly Father is mindful of each and every one of us, He lives. He loves us! I’m so grateful for Missionary work, I’m grateful for Jesus Christ who is our friend and our advocate. I’m grateful for the Book of Mormon and our beloved Prophet President Nelson who will lead us safely home. Heather, I loved this story for several reasons: it takes place in OUR mission (amazing we are in the same mission with Alexis, but we've never been close enough to see her), because you followed a prompting in the middle of the night and brought incredible blessings for your entire family, because Heavenly Father put the pieces together so Alexis could follow up with your missionary moment before she goes home, and because when I saw the picture of Jean she looked so much like your wonderful mother! Did you notice that, too?! We love it here in the SIM, and wish we could see Alexis before she goes home. We've heard awesome things about her! By the way, we were talking to a store clerk here who wanted to know when Donny was coming back to do a concert! He started asking me all about Donny and Marie, knowing more about them than we did! Sure love your family! Enjoy having your sweet daughter home. Heather - This is beautiful - thank you for sharing! Our Heavenly Father knows and if we follow His promptings, great things will happen. Such a great reminder for us all! All the best for your daughter - please thank her for her service! Love to you and all your family!